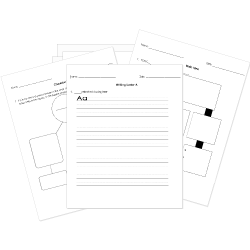 You can create printable tests and worksheets from these Grade 8 Capitalization questions! Select one or more questions using the checkboxes above each question. Then click the add selected questions to a test button before moving to another page. Choose the words that should be capitalized in the following sentence. you must go 10 miles north to get to edinburgh. Which of the following is capitalized correctly? "That," We were informed, "Is a snow leopard." I have shopped for clothes from the gap on the store's website. Which sentence is capitalized properly? A farewell to arms, for whom the bell tolls, and the old man and the sea are three of Ernest Hemingway's novels. I walked Home with Cindy. The planet nearest the sun is mercury. On a cloudless night, I studied pisces, a constellation in the north sky. On a cloudless night, I studies Pisces, a constellation in the North sky.